This question this time: If you attended the HIMSS conference, what companies or products stood out? Honestly? Nothing really stood out. The exhibit hall was pretty much the same as last year, which was pretty much the same as the year before, which was … you get the idea. It’s a long, grueling march with limited reward for the effort. The value-to-cost ratio for the annual HIMSS meeting has been decreasing for some time, at least for me. Did not attend HIMSS this year. I try to make it every other year or so. Like many others, I’ve become somewhat disappointed with the quality of the education sessions and prefer to focus my time on the vendor floor. 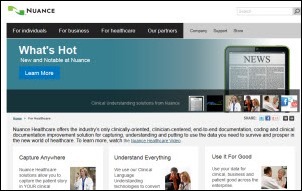 Nuance – the breadth of offerings. Explorys continues to impress me with their product. From the resources here that did attend HIMSS (I did not this year) vendor products and services around data analytics and population health were in large numbers. Integration and interoperability themes and vendor solutions were pervasive. I did not find any one product that stood out. However, I was pleased that the industry is getting more play and attention on business intelligence. What a difference a year makes. I was mainly focused on ACO solutions, since that is something that I think we are all going to have to figure out. 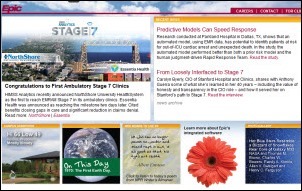 How do I do real time analytics and clinical decision support across disparate systems? The HIE products don’t cut it because they are mostly retrospective and have poor or no analytics. The company in this space that stuck out to me the most is Aetna. I think they had done some thoughtful acquisitions of the necessary pieces of technology needed to truly manage an ACO from the provider perspective. I’ll be taking a closer look at them soon. I was unable to attend, but I have spoken to many people who did attend. There were a few very common themes. New Orleans needs to either improve their infrastructure or stop hosting big events (i.e. boil order during HIMSS, taxi shortages with long lines at HIMSS and Super Bowl, electricity malfunction during Super Bowl), the lack of focus from the staff at the majority of booths (i.e. cell phone usage, talking to their team members and ignoring attendees) and the lack of follow-up or very poor, generic follow-up from the vendors. In a way, I regret not being able to go, but in another way, I am glad that was not able to go – my patience levels are not what they used to be! I think cloud-based delivery of software (SaaS) is here to stay. 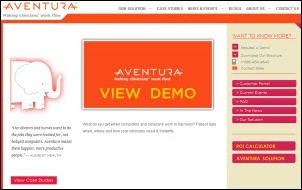 I haven’t seen a great deal of innovation in the EHR space other than that. There were a number of vendors selling "analytics" tools that just looked like pretty dashboards — I didn’t see anything groundbreaking. 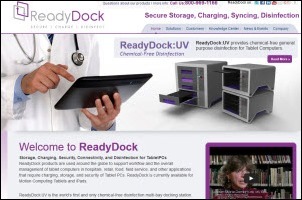 I really liked the ReadyDock product. 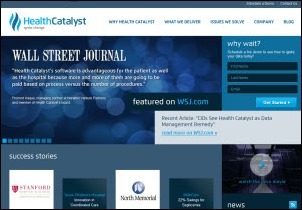 I also liked Health Catalyst. I’ve known many of the key folks involved with that company for a long time, so I know they have great people and it looks like their product is also very good. Did not attend. Not finding much value as a CIO. I did attend HIMSS, but had little time in the vendor hall this year. Some of the companies that I did spend time with this year included Cisco (looking at their telehealth offerings), Aventura (impressed with their solutions), AirStrip (primarily looking at their future product line, as we currently use their OB and CV solutions), and Ideal Life (looking at their in-home monitoring – they were somewhat obscurely sharing space with Verizon). 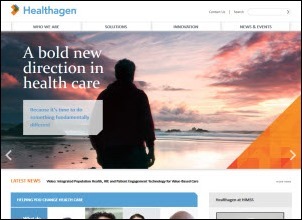 Health Catalyst stood out as a cool new data analytics platform; but I noted that they are not yet fully prepared for population health as their current data model does not have the ability to accept CMS claims data. Sounds like HIMSS could be held every other year with no harm to vendors or attendees. The total spend must be close to $100 million. Where else could you reduce the cost of healthcare so quickly by just eliminating the odd year HIMSS Conference. I’d love to see you survey the HIStalk readership on this one!! I really feel that 80% of vendor exhibits is really nothing more than vendor to vendor networking, and a place to distribute resumes. I know that the number of vendor sales which are directly related to exhibiting at HIMSS is very very low, if at all. I so thoroughly agree with Carl Witonsky about HIMSS being held every other year. The only negative about that would be to HIMSS from revenue loss, etc. It is nothing more than a “Fashion Show” for the vendors. 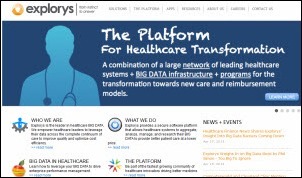 Per Health Catalyst, they do accept CMS claims data (as well as other types of claims data) as an enterprise data warehouse, which requires accepting all forms of data. The company apologizes if incorrect information was conveyed at the HIMSS conference. I agree with Carl Witonsky regarding the frequency of HIMSS conferences, and would add that the annual HIMSS-run conferences in the EU and Asia would fall under that umbrella for HIT multinationals. Over the past several years at HIMSS I’ve seen a vast amount of speculative demo technology put forth as running product. Such “hype” both obscures and diminishes worthwhile HIT advances. I wish HIMSS would establish a juried conference and require that only actual products be shown. If they did that, annual conferences would change to once every 2-3 years and they might fit in smaller and less expensive venue cities. Was our first HIMSS as a non-exhibitor and was surprised to see such limited attention paid to the concept of front-to-back end healthcare security information technology. The discussion with vendors who should be interested in this (these) application(s) tended to be explained by “it’s not my responsibility” and “no one says it is a problem”. With issues like patient compliance, provider compliance to standards, quality of care, the confidentiality, integrity and authenticity of data at stake (to say nothing of fraud, waste, errors and terrorist concerns) we were shaking our heads that few exhibitors or workshops addressed this issue head on. Is security a dirty word in the industry? Why do other industries take it so much more seriously?